Hi guys. I’m trying to finish up in 1950’s Delta/Milwaukee Band Saw Restoration and am in need of the fence rails. I have the fence, just no rails. If you happen to have a set kicking around please let me know. I know a lot of people that have upgraded to a more modern fence but I’m trying to keep mine original so I’m willing to sacrifice some function for form. This individual may be able to help you. 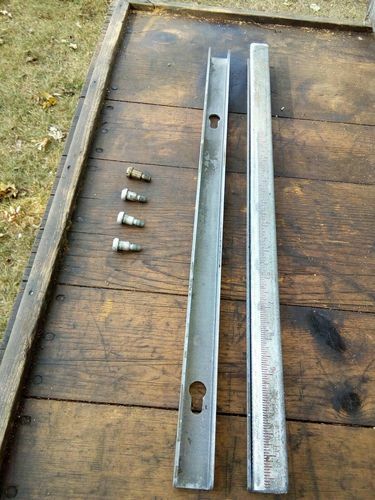 There are several complete sets (fence + rails) listed for sale over at the OWWM site (in the BOYD section)... ranging from about $50 to $100 + shipping.